Here at Japan Centre, we’re proud to supply top quality meat cut in the traditional Japanese method, right in the heart of Central London. If you’re curious to find out more about our meat counter and the different cuts we provide, keep reading. . .
Whilst in the days of yore Japan was mostly a pescetarian land, nowadays it is very much a nation of carnivores (sorry veggies). Some classic Japanese dishes like yakiniku, shabu shabu and sukiyaki hotpot have meat at their very heart. Our meat counter staff are expertly trained to cut meat to perfection, but what are the differences in the cuts we offer? These varieties of beef are renowned the world over for their fatty, marbled texture that results in meat so tender and so succulent that it should come with an 18 certificate – we’re getting all flustered just thinking about it. You may have heard rumour that these varieties of Japanese cow receive VIP treatment which results in their decadent flesh – listening to opera music, glugging gallons of Sapporo beer, receiving Swedish massages and regular trips to the opera and the spa. In reality though, ‘wagyu’ refers to the breed of cow. At Japan Centre, we offer both authentic Japanese wagyu reared in Gunma prefecture to exceptional standards, as well as washugyu – premium natural wagyu breeds reared in America. Both are delectable in their marbled goodness and can be purchased fresh or frozen in various cuts at our meat counter. 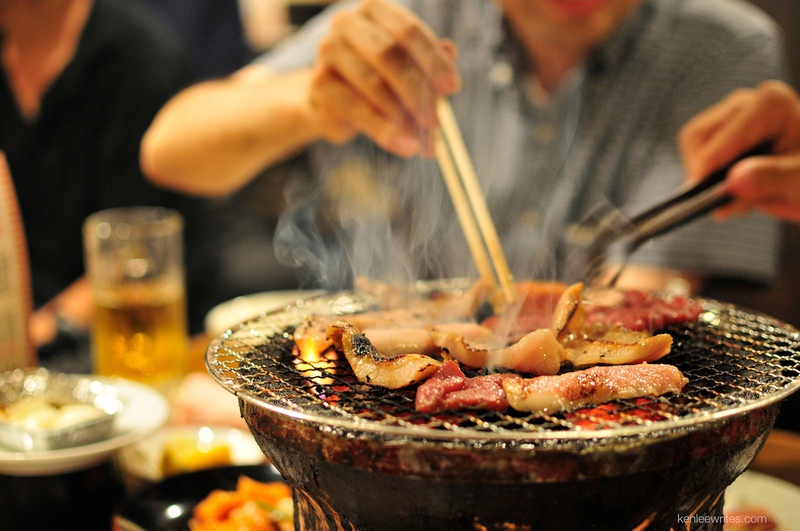 We have a variety of pork and beef sliced to the perfect thickness for yakiniku – also known as Japanese BBQ. Trust us, stocking up on a selection of perfectly sliced yakiniku and grilling it outside with mates and copious amounts of Japanese beer is the stuff dreams are made of. Find fresh and frozen varieties and fire up the grill. 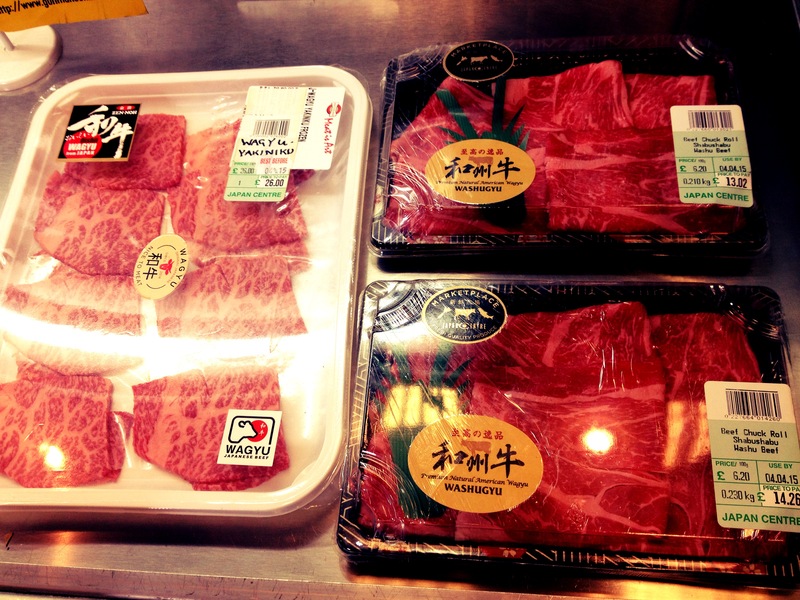 These are thinly sliced meat varieties ideal for use in Japanese hot pots known as nabe. Perhaps the most delightful-sounding of anything in the vibrant world of meat cleaving, ‘Shabu Shabu’ is actually an onomatopoeic term referring to the sound the meat makes as it swishes through the broth. Both varieties are sliced ultra thin which means they’ll cook in seconds right in front of your eyes. Shabu Shabu is sliced at 2mm and arranged in a fan shape, whilst Sukiyaki is slightly thicker at 2.5mm and presented in layers. Why not swat up on your knowledge of nabe with our special blog post and get stewing! 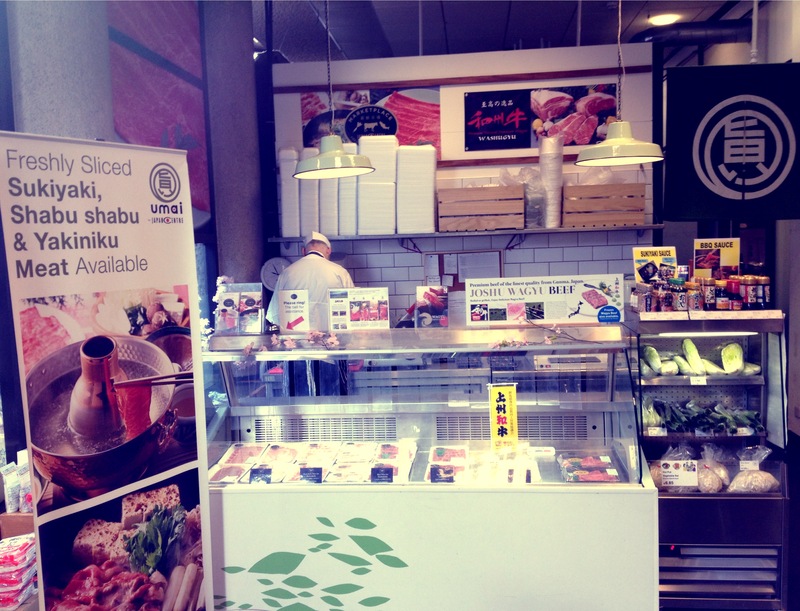 Posted in Food, Stores and tagged Japan Centre meat counter, Japanese beef, Japanese meat, Wagyu, washugyu. Bookmark the permalink.